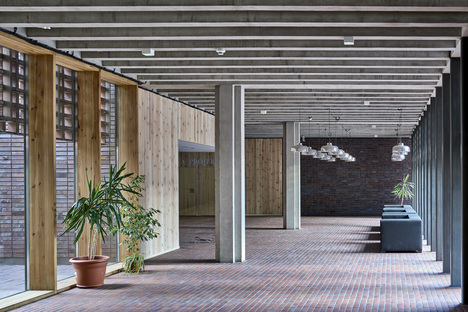 Baas Arquitectura, Grupa 5 Architekci and Małeccy Biuro Projektowe have designed the new Radio and Television Department at the University of Silesia in Katowice, Poland. 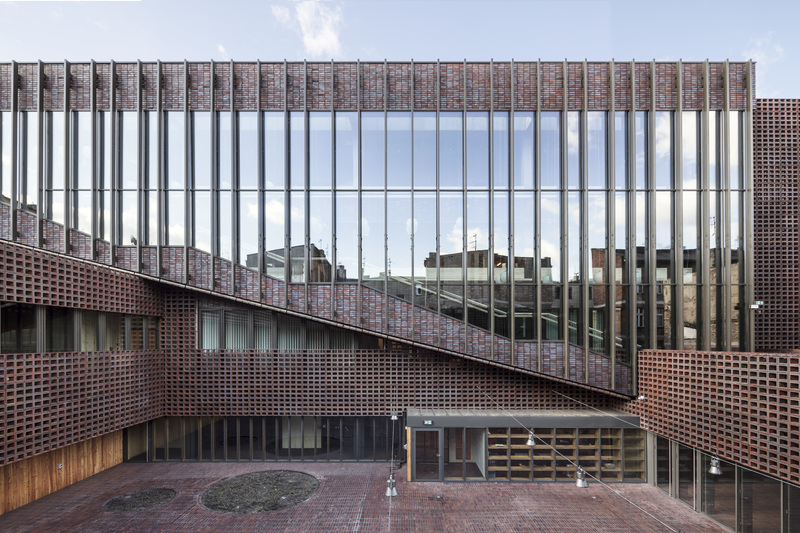 The new building combines Spanish and Polish architectural vocabularies, identifying the past as the point where they come together. 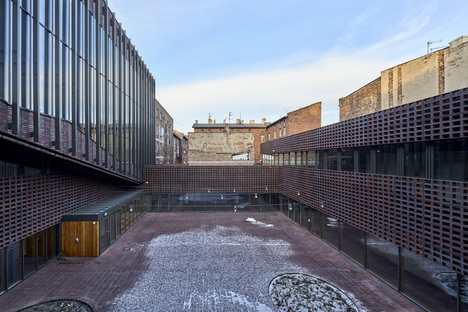 The prestigious Krzysztof Kieślowski Radio and Television Department at the University of Silesia in Katowice, Poland has a new location in the city centre. 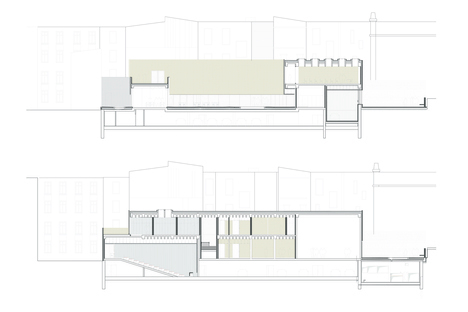 The contest held in 2011 was won by Catalonian studio BAAS Arquitectura with Grupa 5 Architekci of Warsaw, later joined by Małeccy Biuro Projektowe. 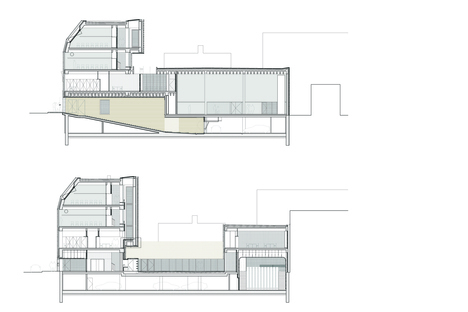 There are two key reasons for the decision to construct a new building. 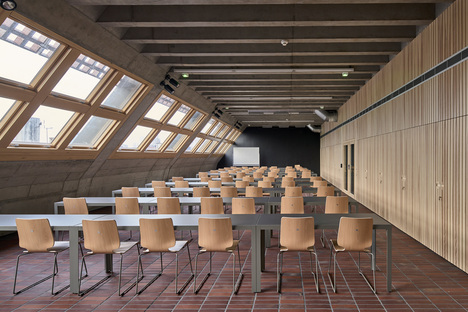 The first is the international prestige of the institute, which was founded in 1978 and named after one of the world’s greatest directors, and has such prominent alumni as Krzysztof Zanussi, Jerzy Stuhr, Filip Bajon, Magdalena Piekorz and Maciej Pieprzyca. 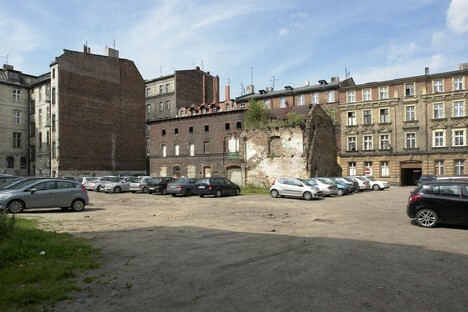 The other key factor is the Katowice city government’s desire to revitalise the Pawła, Wodna and Górnicza district, a residential neighbourhood containing low-cost housing, where entire housing developments have been knocked down, leaving empty spaces that have been downgraded to parking lots. Having received a donation of a lot on Św. Pawła str. 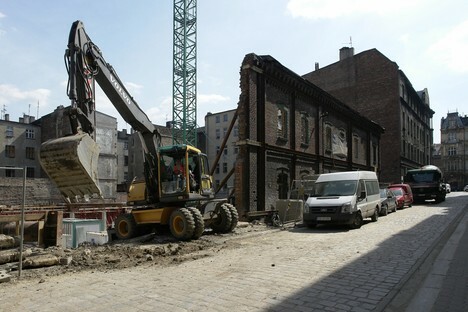 from the city and funding from the Ministry of Science and Higher Education, WRiTV, as the school is now called, sold its old building on Bytkowska St. in an outlying area, now inadequate, to obtain funds to build its new home. The competition and the victory of the Spanish/Polish team were much talked-about in the city. 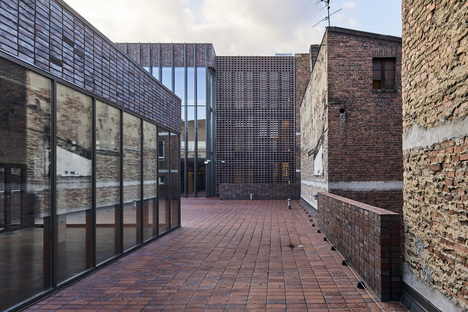 The land provided by the city was in one of the vacant areas, a lot measure 2200 square metres behind the ruined façade of a former light bulb factory, constructed in the late 19th century. The townspeople particularly liked the idea of a Spanish “breeze” blowing into the city and blending with the history of Polish architecture. 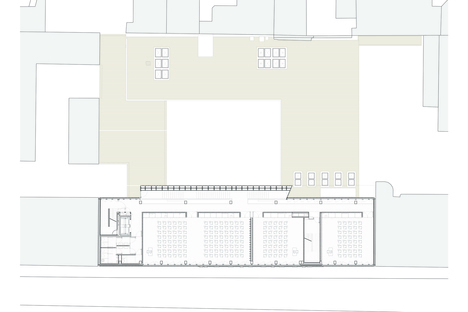 As soon as the first renderings appeared of the winning project, chosen out of 38 international studios, the local population approved the suggestion that the old light bulb factory not be knocked down, even though it had been abandoned for many years, but reclaimed and integrated into the new project to provide a strong link with the past. 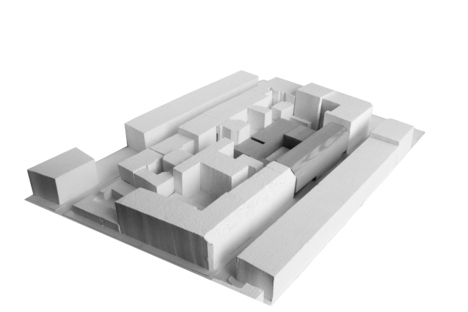 In this big empty space, BAAS Arquitectura, Grupa 5 Architekci and Małeccy Biuro Projektowe imagined a building arranged around a courtyard that would adapt to the layout of the site and the height of the apartment buildings around it, without exceeding their maximum heights. 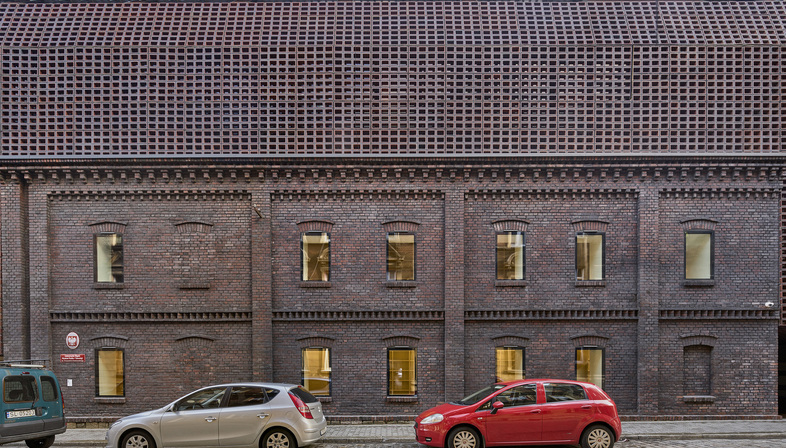 The façade is an ideal continuation of the building to its right, closing off the façade on Św. 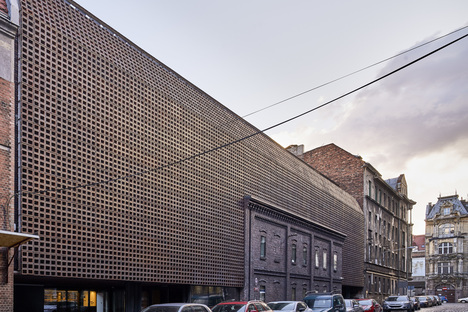 Pawła str., incorporating the restored front of the industrial building in a surface which is united but permeable, made of openwork clinker units. 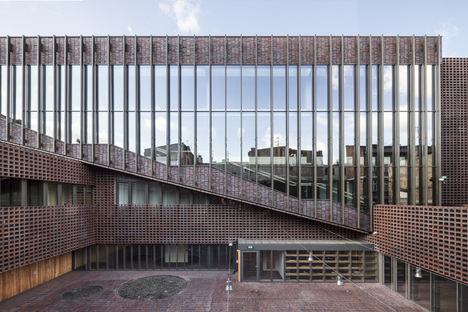 The variation in hues resulting from the firing of the brick, typical of the constructions of the day, inspired the use of clinker today, while the use of openwork brick minimises the impact of the façade block. 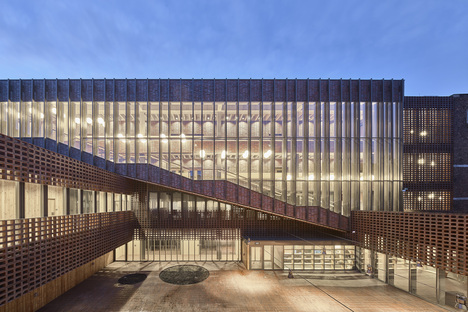 Raised one level above the ground, the building is completed with a large glassed-in entrance set back from the façade, offering a more direct link between the street and the university, between the educational institution and society. 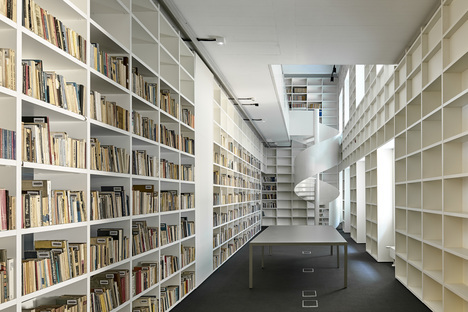 The two longitudinal walls of the old building were partially reclaimed and restored, emptying out the old building to reconstruct the interior on two levels for use as a library. 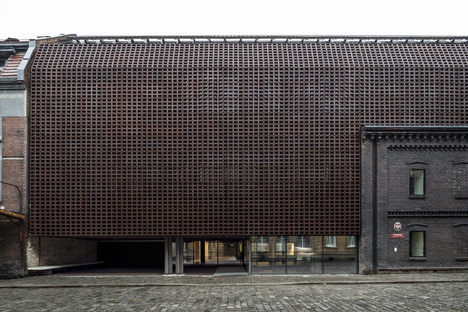 The regular rhythm of the façade, with pilasters, arched windows, moulding and stringcourses, contrasts with the uniformity of the clinker cladding wrapping around the entire building and curving at the roof. 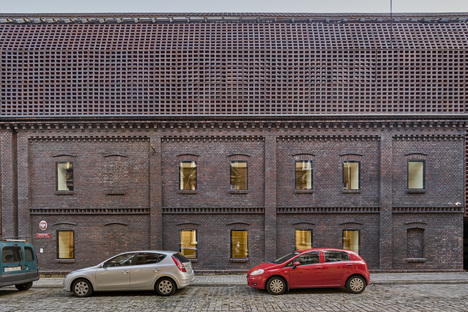 The uniformity of the colour of the brick joins the past with the present without reducing the fascinating impact of the architectural whole. 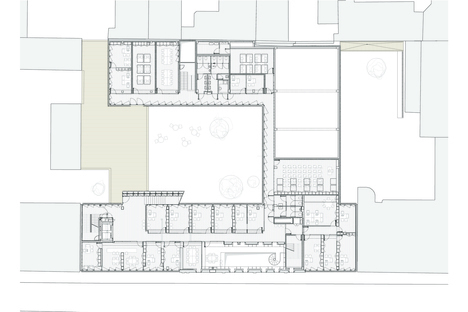 The building has four levels above ground on the front, plus an underground parking level, and only two levels in the blocks around the inner courtyard, which is very brightly lit, allowing anyone who uses it to perceive the way it fits into the neighbourhood. 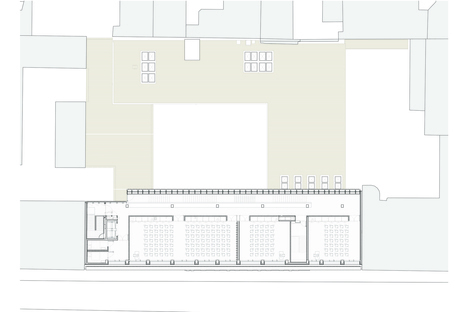 Light and transparency are key themes of the project, incorporating walls made entirely of glass sheltered by clinker sunbreaks. 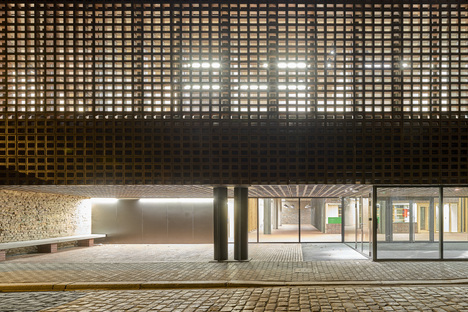 The perforated brick is the stylistic key to the project as a whole, and BAAS Arquitectura and Grupa 5 Architekci use it as an element joining the local brick architecture with the typically Spanish design of the façade, treated primarily as a shelter from the sun. 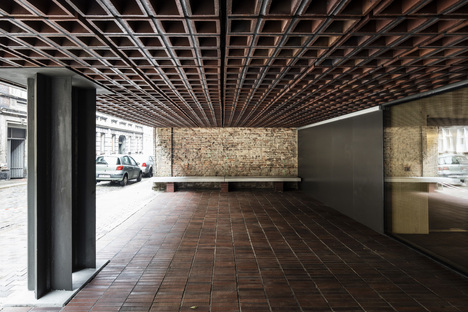 Rejecting the idea of iconic architecture that stands out for its distinction from the urban landscape around it, the architects have elevated the past to the status of icon, transforming it into vital material for qualifying the street and the neighbourhood as a whole.